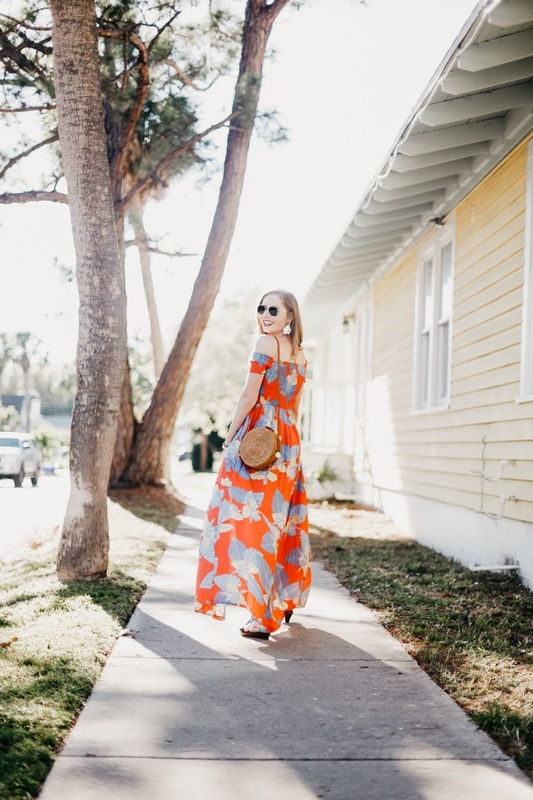 The ultimate summer dress has arrived straight from Lulu's! 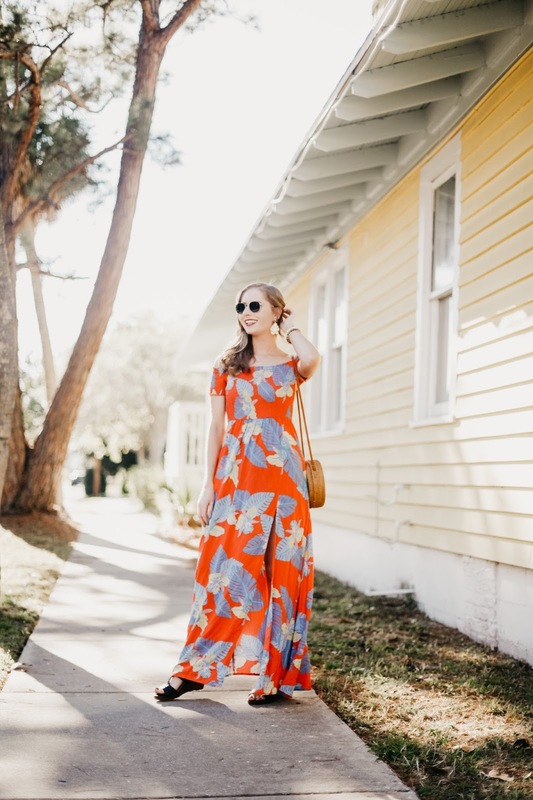 This stunning maxi dress has all the pretty colors of the moment for spring right now. You can definitely find it packed in my suitcase while I travel to warmer destinations later on this year. This dress offers a fresh tropical coral color mixed with a touch of pastel blue has me channeling some serious vacation vibes right now. When it arrived, I had to steam out some wrinkles before wearing it out, so make sure you do the same! 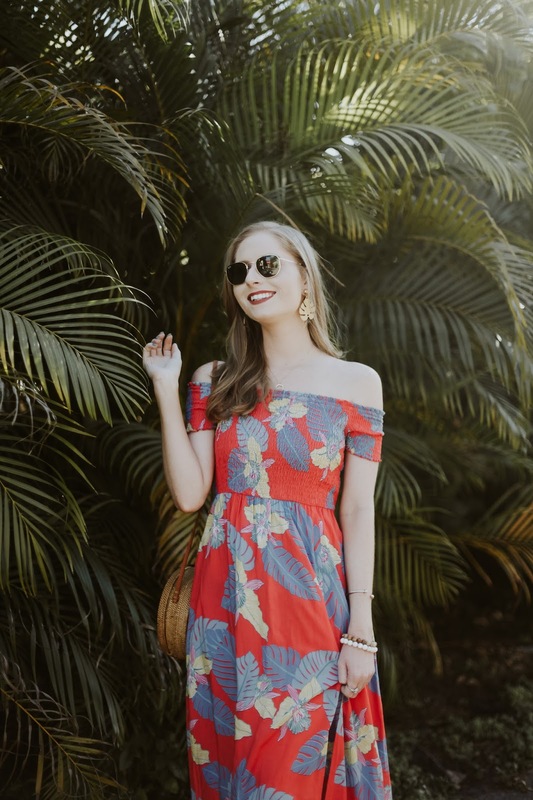 The palm print details are also quite the show-stopping pattern meant for a fun trip to the beach. 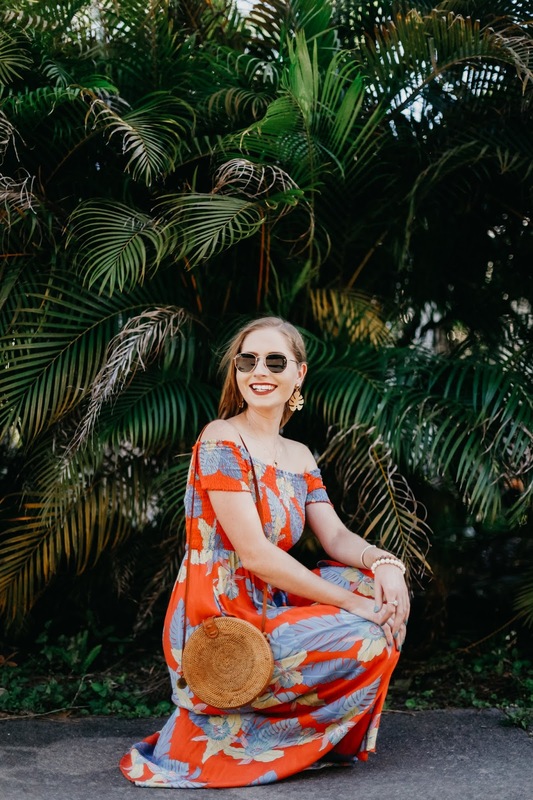 Of course, to accentuate the palm prints scattered throughout my maxi dress, I could not resist adding a matching pair of dangling palm print earrings! 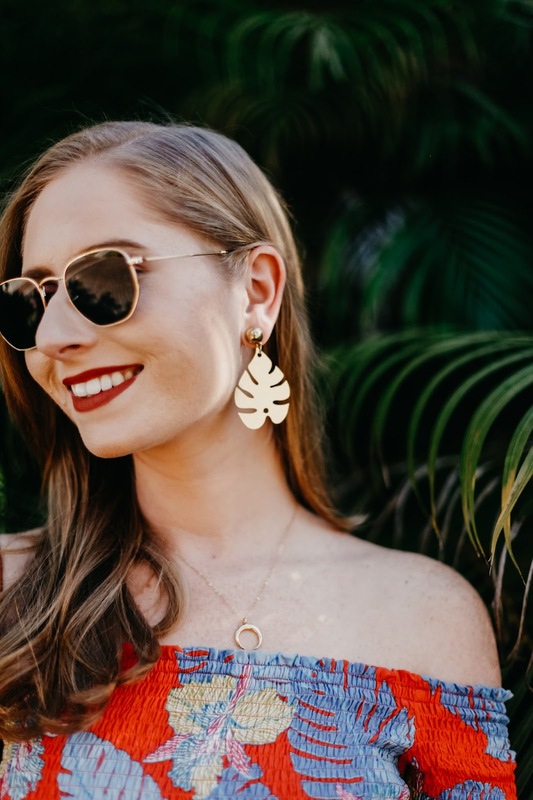 These from Lilly Pulitzer are affordable at under $40, too. 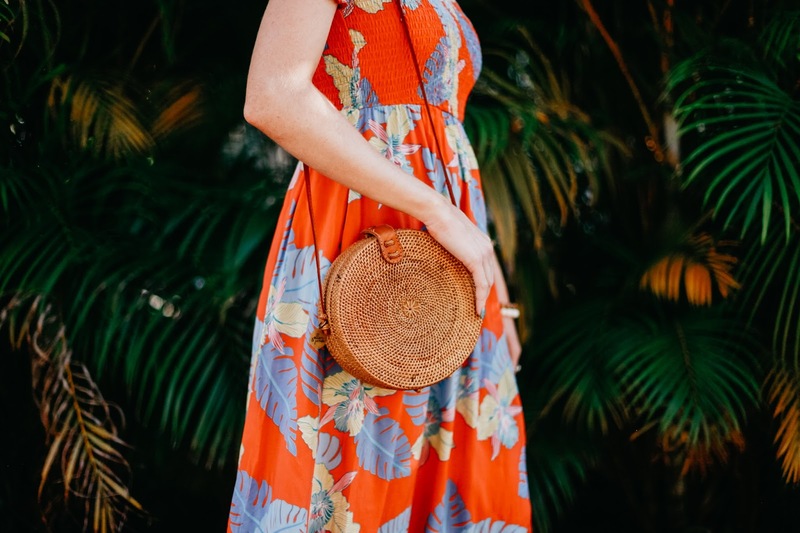 A circle crossbody bag is now looking like an essential accessory for spring and summer...but why pay more than $100 for one? Don't pay even $80 because I found one for under $60--just $59 at Urban Outfitters! This round bag from Express is also cheap at under $40! 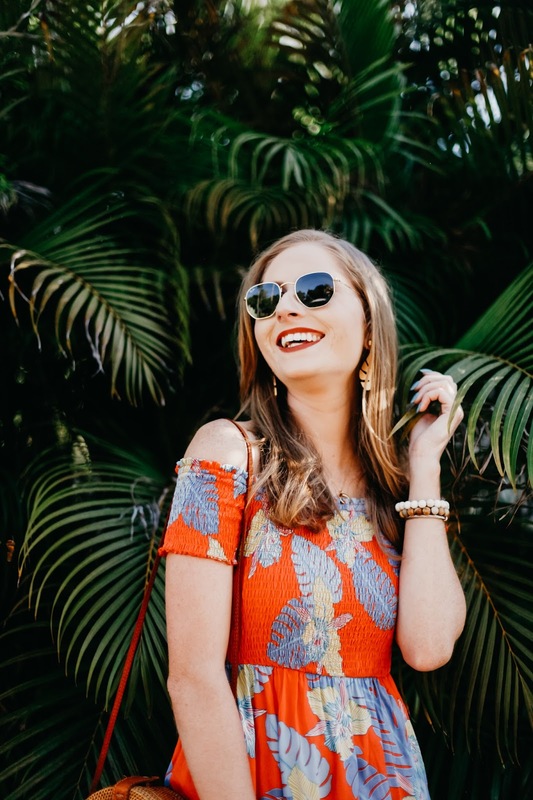 The straw bag trend is still going strong, so I suggest buying one now before they sell out, friends! I also think choosing black or brown looks super chic against every outfit. My bag pictured here was originally from Etsy, and I spent $80 on it. Yes, it killed me to spend THAT much on a bag that I didn't even know could fit my wallet or phone because it was handmade overseas... However, there are SO many copies available for WAY less, so choose your new straw bag wisely! Save some money!